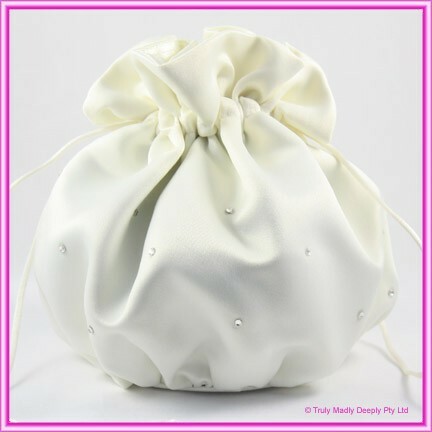 This premium quality bridal pouch is Made in Australia. It feautres a superbly soft and luxurious ivory satin material and a decorative pattern of birlliant glass diamantes. Bag is approx. 11.5cm in height. A stunning wedding bag for the lovely bride to carry her essential items such as lipstick, tissues and maybe a little lucky charm.